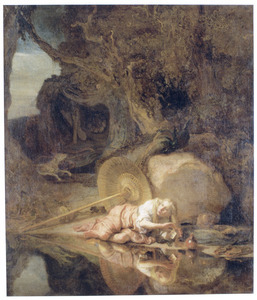 It is not likely that the painting depicts Narcissus because the figure on the canvas does not look at his own reflection. The subject of Hera hiding is not included in the Iconclass index. 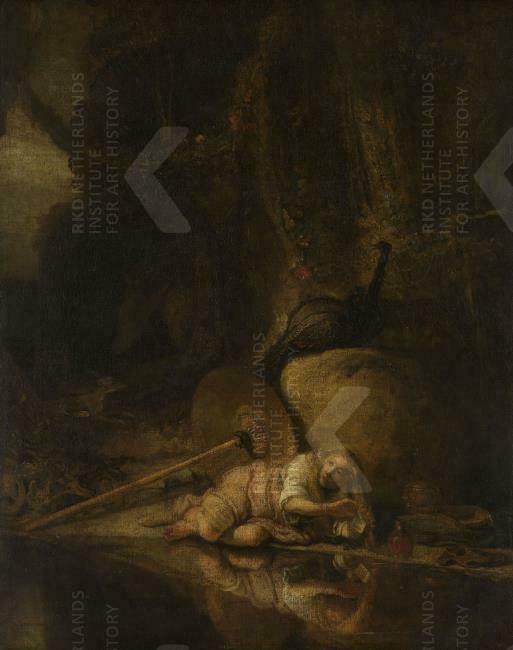 according to an annotation in a copy of the sale catalogue [RKD, The Hague], Lugt no. 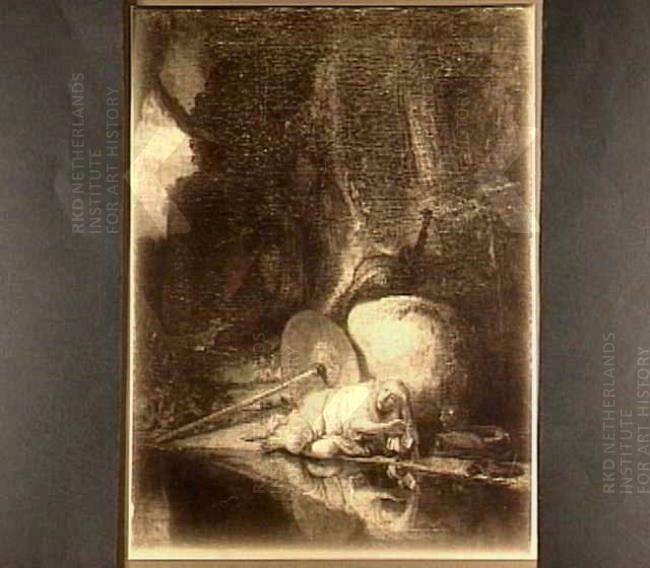 42168: "Rembrandt. 1049. 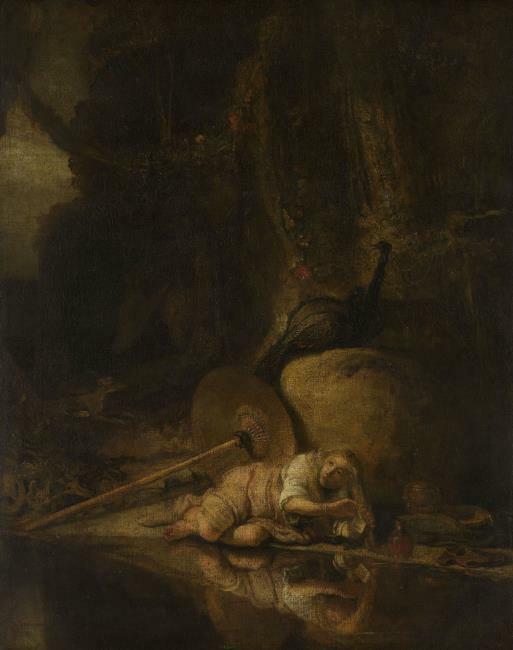 The Magdalen rreclining on the Bank of a River, under a Rock. 24 in. by 26 in." The sample was taken before 1962-10.